The purpose of this study is to analyze and produce local science-based worksheets in the field of earth and space science to improve students' critical thinking skills. R & D development methods are used in this research with a step of needs analysis, preparation of theme development of student worksheet based on local science and interactive media, test of validity and readability. 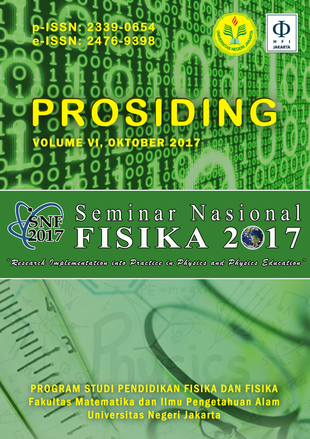 The subject is physics education students who take the IPBAâ€™ course at FKIP Untan. Data analysis techniques used descriptive percentages for content validity and readability tests. It is found that the validation results show the student worksheets that have been compiled into valid categories so that the worksheet developed is effective in improving students' thinking skills. Keywords: worksheet, myth, critical thinking skills.